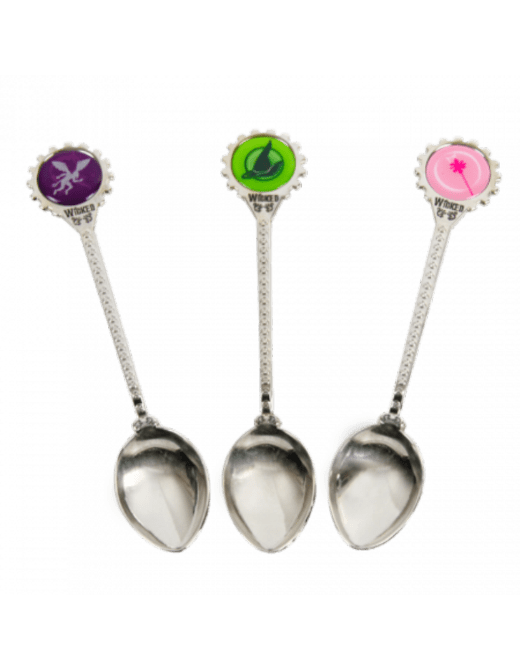 Celebrate Broadway's most beloved show with our exclusive Wicked Spoon Set. Made from zinc alloy, these miniature collectible spoons feature three different designs -- Elphaba’s hat, Glinda’s scepter, and Chistery -- and each spoon has an engraved Wicked logo. Please hand wash, as these handsome collectibles aren't dishwasher safe.